FIR–Where a Magistrate does not explicitly directs to register a FIR, but directs for investigation, the Police should register a FIR. Comments Off on FIR–Where a Magistrate does not explicitly directs to register a FIR, but directs for investigation, the Police should register a FIR. Registration of FIR–High Court should discourage the practice of filing a writ petition or petition under Section 482 Cr.P.C. simply because a person has a grievance that his FIR has not been registered by the police, or after being registered, proper investigation has not been done by the police. Comments Off on Registration of FIR–High Court should discourage the practice of filing a writ petition or petition under Section 482 Cr.P.C. simply because a person has a grievance that his FIR has not been registered by the police, or after being registered, proper investigation has not been done by the police. Cognizance–Taking of–Power of Magistrate–Explained. Final Report–Protest Petition–Notice to informant–Magistrate has to give notice to the informant and provide an opportunity to be heard at time of consideration of report. Final Report–Notice to informant–The informant is entitled to a notice and an opportunity to be heard at the time of consideration of the report– Position is different so far as an injured person or a relative of the deceased, who is not an informant, is concerned. They are not entitled to any notice. Comments Off on Cognizance–Taking of–Power of Magistrate–Explained. Final Report–Protest Petition–Notice to informant–Magistrate has to give notice to the informant and provide an opportunity to be heard at time of consideration of report. Final Report–Notice to informant–The informant is entitled to a notice and an opportunity to be heard at the time of consideration of the report– Position is different so far as an injured person or a relative of the deceased, who is not an informant, is concerned. They are not entitled to any notice. 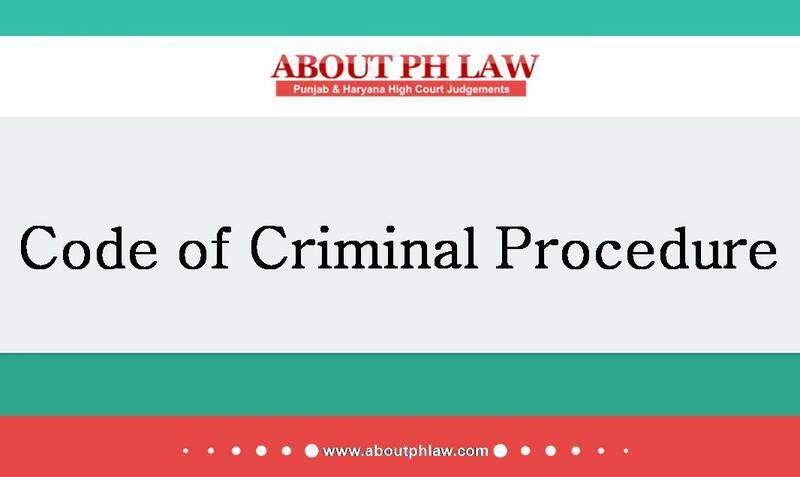 Criminal Complaint—Police cannot refuse to record FIR/investigate the offence on the ground that offence was not committed with its territorial jurisdiction. Investigation—Inquiry u/s 174 CrPC cannot be equated with investigation u/s 154 CrPC. Comments Off on Criminal Complaint—Police cannot refuse to record FIR/investigate the offence on the ground that offence was not committed with its territorial jurisdiction. Investigation—Inquiry u/s 174 CrPC cannot be equated with investigation u/s 154 CrPC. FIR—-Copy of FIR has to be uploaded on official police website within 24 hrs except in sensitive issues like sexual offences, insurgency and TADA. Comments Off on FIR—-Copy of FIR has to be uploaded on official police website within 24 hrs except in sensitive issues like sexual offences, insurgency and TADA.